Te Rūnanga is bound by the Te Rūnanga o Ngāi Tahu Act 1996. The Act prescribes, amongst other things, the status of Te Rūnanga o Ngāi Tahu, the members of Ngāi Tahu Whānui and their entitlements, the Papatipu Rūnanga that are members of Te Rūnanga and the provisions for electing Representatives. The Te Rūnanga o Ngāi Tahu Charter is a contract between Te Rūnanga and the Members (Papatipu Rūnanga) and further prescribes the obligations and operation of Te Rūnanga. Te Rūnanga o Ngāi Tahu is responsible for the overall governance of the group and for representing Papatipu Rūnanga and Ngāi Tahu Whānui and delivering benefits to them. Te Rūnanga o Ngāi Tahu deal with global tribal policy and issues, while Papatipu Rūnanga manage issues requiring wider or local consultation. Te Rūnanga is made up of the 18 member Papatipu Rūnanga. The Te Rūnanga Act stipulates that the Appointment Committee for each Rūnanga will appoint a member to act as its Te Rūnanga representative. The Rūnanga Appointment Committee will be elected in a democratic manner, by postal ballot, by the members of each Papatipu Rūnanga. Every Te Rūnanga o Ngāi Tahu representative must be a member of Ngāi Tahu Whānui and be affiliated to the appointing Papatipu Rūnanga. 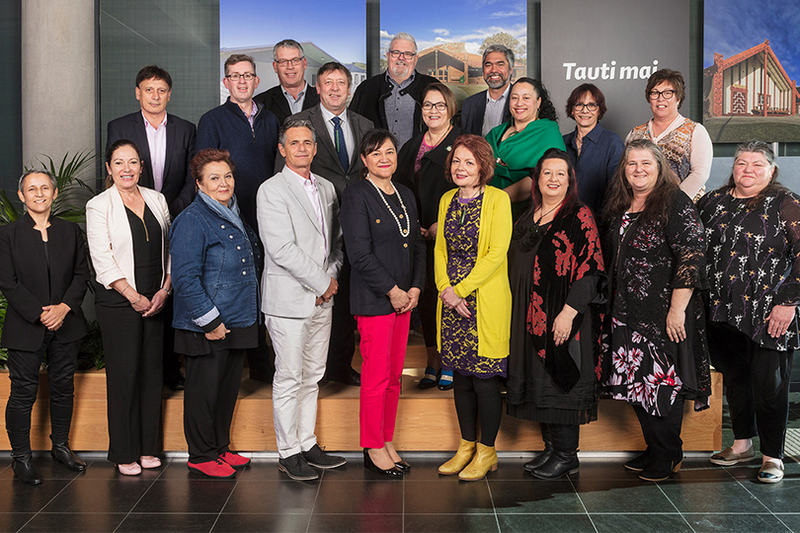 Te Rūnanga o Ngāi Tahu Representatives – 2018. Absent: Gabrielle Huria, Michael Skerrett. You can learn more about each of the Te Rūnanga o Ngāi Tahu representatives here. To view the latest schedule of Te Rūnanga Group Governance appointments click here [updated April 2016]. To be notified about upcoming appointments please register on Te Pou Here and under ‘Areas of Interest’ select ‘Representing Ngāi Tahu on External Board’. For further information about our generic appointments process click here [adopted August 2013]. As trustee of the Ngāi Tahu Charitable Trust Te Rūnanga o Ngāi Tahu is also directly responsible for the delivery of charitable social and cultural programmes and grants.